Former New England Patriots tight end Aaron Hernandez during his trial in Suffolk Superior Court in Boston in March 2017. The older brother of former New England Patriots star Aaron Hernandez has written a book about his sibling’s stunning fall from grace that ended when the once-promising athlete killed himself in his prison cell while serving a life sentence for murder. The book by Jonathan Hernandez, entitled “The Truth About Aaron: My Journey to Understand My Brother,” is due out in October from HarperCollins Publishers, according to the company’s website. Jonathan Hernandez recently posted a photo of the book cover on his Instagram account and wrote “I love you UNCONDITIONALLY” in the caption. 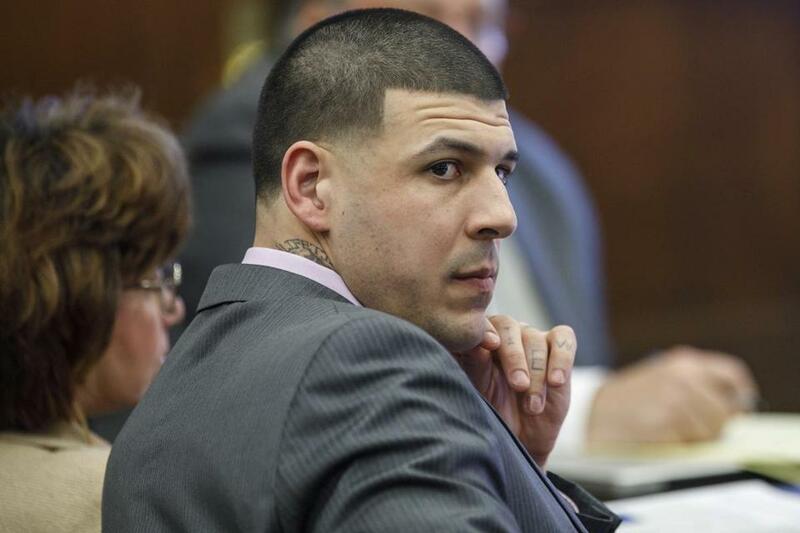 Aaron Hernandez was convicted of first-degree murder for the 2013 fatal shooting of Odin L. Lloyd, a Dorchester man who dated the sister of Aaron’s fiancee. He was acquitted in 2017 of killing two additional men in a 2012 drive-by shooting in Boston and hanged himself in his cell days after being cleared in that case. A synopsis of “The Truth About Aaron” on the HarperCollins website says that Jonathan Hernandez doesn’t pull any punches.